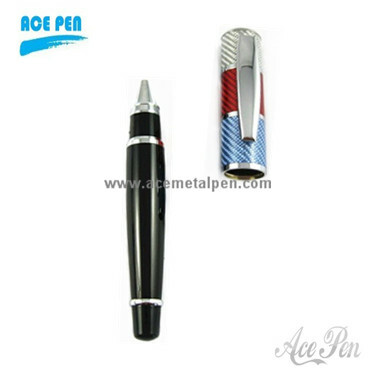 Surface Treatment Rollerball pen with elegant shape,Laquer blue finish on barrel. produced by ace metal pen. Barrel in plated.Intense high gloss finish. High quality and noble design.